How to combine multiple TIFF images into single PDF in Windows? Tagged Image File Format (TIFF) have been around as an image file format for a very long time for a few solid reasons, they are an industry standard in many fields such as publishing and their support for multi-page files is incredibly handy, they are a great format for working with high-resolution graphics. TIFF are often not the best file format when it comes to sharing work with colleagues or passing files on to clients however. You simply cannot be sure the recipient will be able to open the file. Portable Document Format (PDF) on the other hand, are pretty much universal these days. That is where our TIFF to PDF Converter software comes into its own. It is a powerful, full-featured tool that will let you combine several TIFF images into one multi-page PDF with ease. Rather than having to open several applications and export as PDF by hand, you will be able to get the job done quickly from one place and get back to your work. Download TIFF to PDF Converter and install it on your computer. A full version of the program is available for download. Run the application, you can see the above screen. Drag and drop TIFF image(s) (or add them by clicking the "Add file" or “Add Folder” button) to convert it from TIFF to PDF format. Reorder the sequence of images as you need them to appear in the final PDF document. 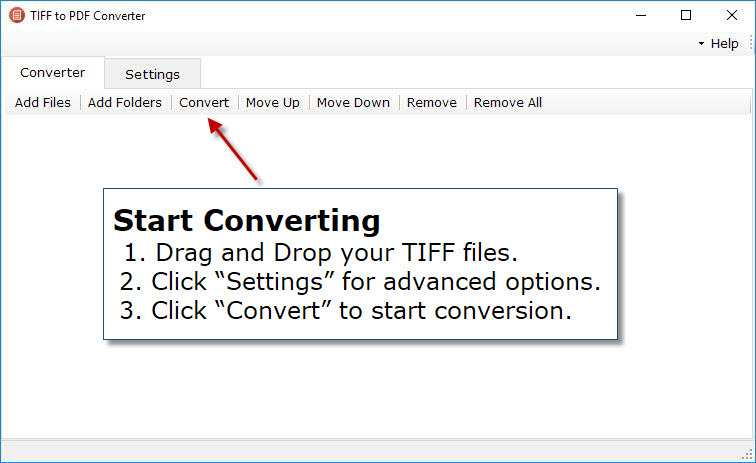 After adding TIFF files for merger you can directly click on "Convert" button to start conversion. Before that you can change the options like output folder and compression. 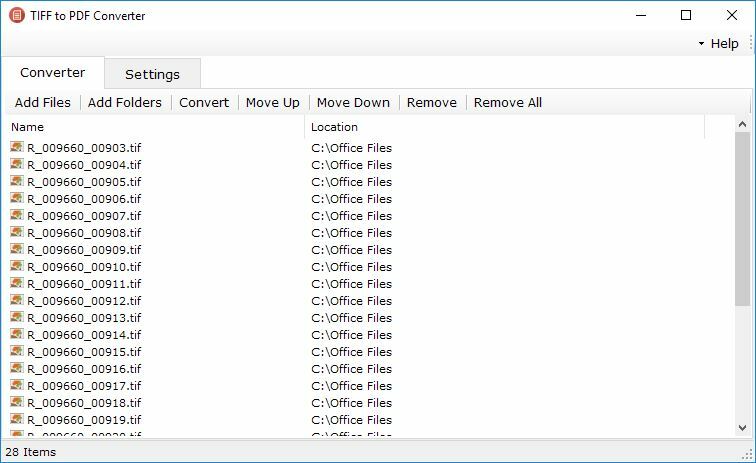 You can merge as many TIFF files as you need into a single PDF file. 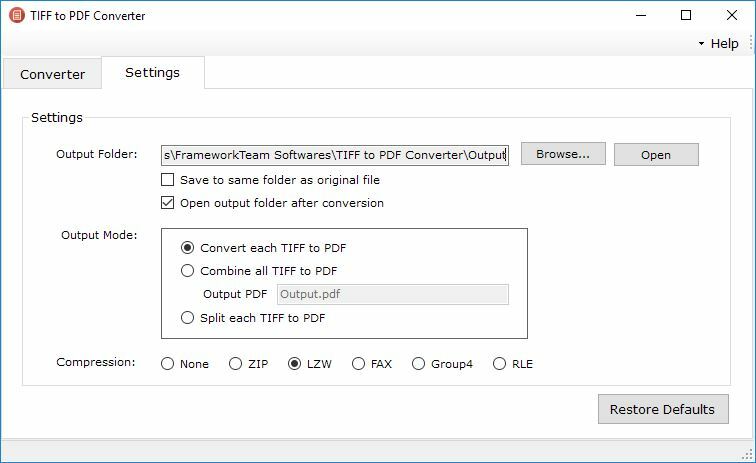 For that you have to select output mode as “Combine all TIFF to PDF”. Now to combine TIFF to PDF, click on "Convert" button to begin the batch conversion process. All of the generated PDF will appear in a separate output folder.